The 46 AERO is one of Reynolds’ signature wheels as its DET™ rim profile provides the optimal balance of aerodynamics, stiffness and comfort in just about any discipline. As a great all-rounder, it is equally well suited to criteriums, road races and time trials. Given it’s plenty tough and sheds mud and sand as well as the wind, the 46 AERO will confidently handle any CX course it encounters too. We are that confident that you will love these wheels, If you are not completely happy with this Reynolds Aero Wheelset, then you can return these wheels to us for a full refund within 30 days of the purchase. The wheels must be in a rideable condition and showing light signs of wear only, any wheels that have been damaged due to abuse or a crash will not be refunded. 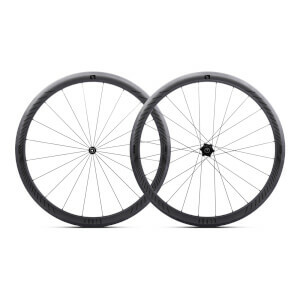 This 30 day return Guarantee is on Reynolds Aero Wheelsets only . I like them and the look are great, light weight, smooth, best price from probikekit.